Many computer users often discover that managing the device drivers, if not the computer as a whole, is a time-consuming task that often requires in-depth knowledge of what you are doing. If you do not do this right, you may end up faced with lots of wasted hours as you try to get things right. It may also eventually cost you money to remedy the situation. If you have any deadlines to meet, this may spell disaster. The best solution to this predicament is to delegate the management of your system to such software solutions as DriverAssist. This article will do a review of how you can do automatic driver updates with DriverAssist. Drivers are a very important component of your system. For that reason, you need to manage them with care. You will often need to know which drivers are suitable for your system. You will also need to know where to get them. When there are problems on your system, you will need to determine if the problems are a result of drivers that are not working properly. As an automatic driver updater, DriverAssist is designed to make the updating your drivers not only easier but faster too. This updater will scan all the devices connected to your computer. It will then check all the drivers currently installed on the computer with the aim of ensuring that they are up to date. If there are any missing drivers, the software will search through its massive database of drivers so that if any need to be updated or installed, this is done automatically. 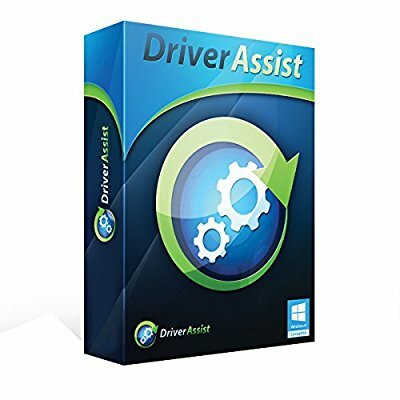 The difference between DriverAssist and some of those solutions made available by such operating systems such as Windows is that it makes sure that the drivers that get downloaded and installed on your computer are not only compatible but also the most stable version of that software. It has a way of looking at how your device is configured and ensuring that the drivers installed are specific to that PC. The advantage of using the automatic driver updates managed by DriverAssist is that if you are a novice, you do not need to know all the complicated stuff, such as the device model names and such other information that is required to identify the right drivers. With a system such as DriverAssist, the unique identity of the device will be detected, and a compatible driver will be paired with it. With the kind of database that DriverAssist has, it would take ages for an individual without sufficient knowledge and time to successfully go through it. All the drivers in this database are the official version that has been properly tested by those who manufacture them. When you attempt to install and manage drivers on your own, you run the risk of installing viruses and malware in the process. If you are a professional whose work involves managing a number of computers, you can also take advantage of this system. It ensures that you are not installing each computer individually and manually. You can take advantage of this automated system. You will always know the drivers in each computer you manage are always updated.